Click Here to access our Videos, Blogs and more. 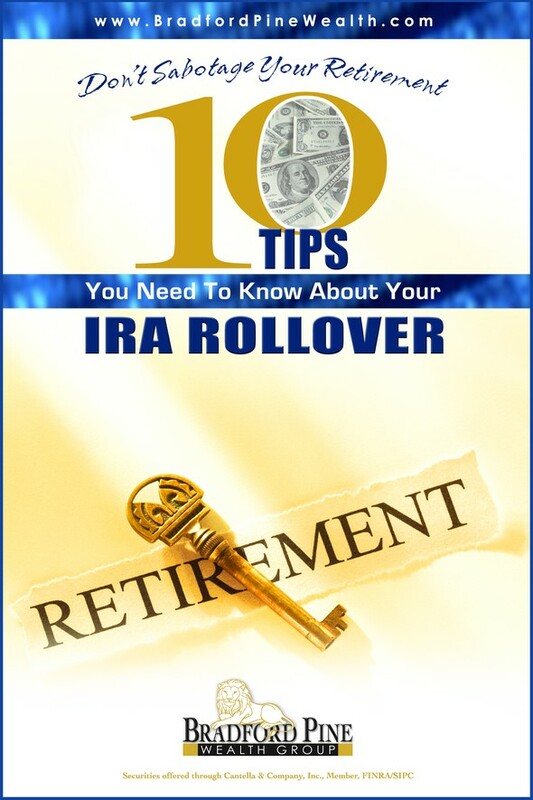 Free eBook - "10 Tips You Need to Know About Your IRA Rollover"
The Bradford Pine Wealth Group has built its reputation on one core philosophy: Your investment goals are our most important priority. Together we build a customized wealth plan to take the mystery out of investing, manage risk, prepare for retirement, and preserve your wealth. In a constantly changing global economy, a good wealth plan is just the first step. We take a dynamic approach to investment management. Ensuring your investments are properly aligned with your life objectives stems from our ability to listen and inform you about the investment strategies that suit you best. Our knowledge and commitment to your goals brings added value and peace of mind. 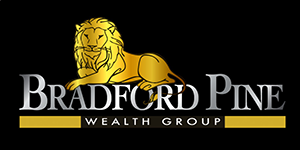 The Bradford Pine Wealth Group focuses on keeping your wealth plan on track every single day. We utilize sophisticated risk reduction techniques and relieve you of the day to day burden of wealth management while keeping you informed and in control. At the end of the day, these assets represent the foundation to your future, and it is our role to assist you in building a solid structure.